Track and manage calls to potential customers, together with the outcome and notes for each meeting, and also track how each call converts into your sales pipeline. 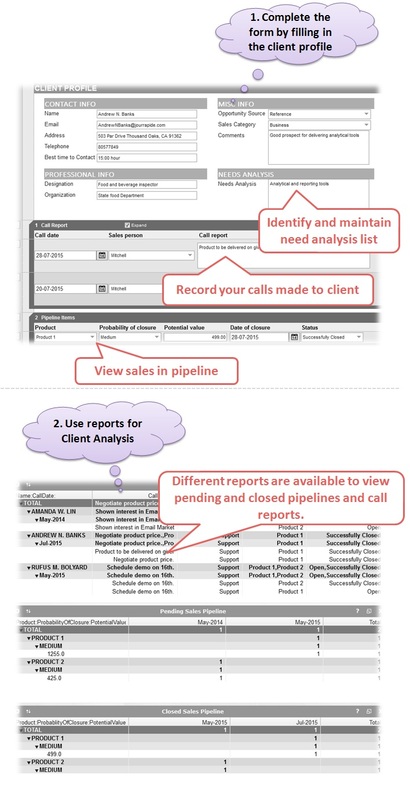 Monitor the sales pipeline via reports. You are not limited to just these reports. See the ‘Create a Report (Video)‘ page to see how you can define your own reports.